Where do Brazilians go when they have intestinal gas?? Don't go inside ... we've heard that it stinks! We drove past this pharmacy when we were in Rio (2002). Probably a great place to buy Beano! Labels: Where do Brazilians go when they have intestinal gas? 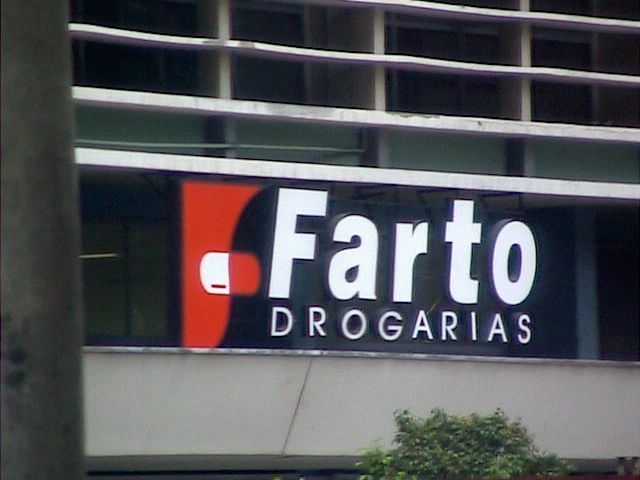 FARTO Drug Store!